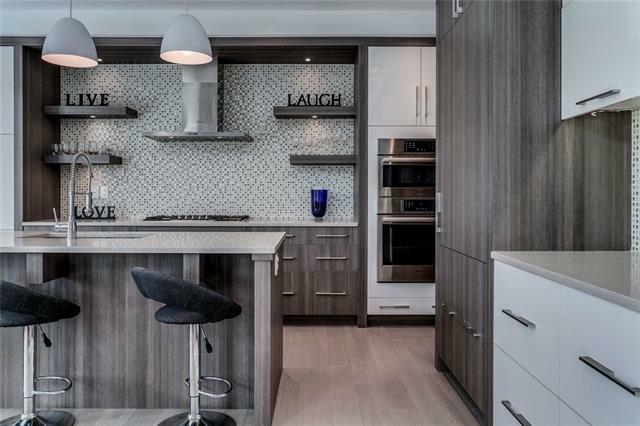 DESCRIPTION Fantastic 3 BEDROOM townhome with attached garage features an open and bright main floor with 9’ ceilings. The kitchen boasts STAINLESS STEEL appliances, maple cabinets, ISLAND, wine cabinet, pantry and large eating nook. Relax in the great room with a beautiful stacked stone gas fireplace. The upper level offers a large master with walk-in closet, and 3 piece ensuite with an OVERSIZED shower and HEATED tiled floor. 2 additional bedrooms, 4 piece main bathroom and convenient laundry. The lower level is fully finished with a large rec room, wet bar, built-in storage and Murphy bed wall unit (perfect for guests). NO MORE COLD vehicle in the winter with your single attached garage. Unit is located in the inner courtyard so you have a great location backing onto GREEN SPACE. Fantastic location. EASY ACCESS to shopping, Westside Rec Centre, 69 St LRT Station, schools and more. Want to head out to the mountains for the day, no problem! This area has it all. DON'T MISS OUT! 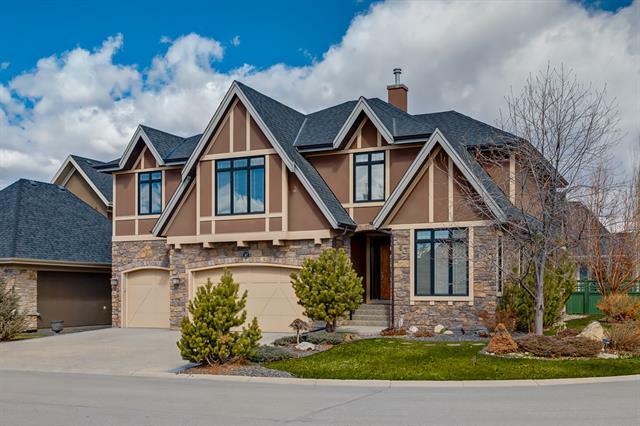 Home for sale at 83 Wentworth Cm Sw Calgary, Alberts T3H 5V3. 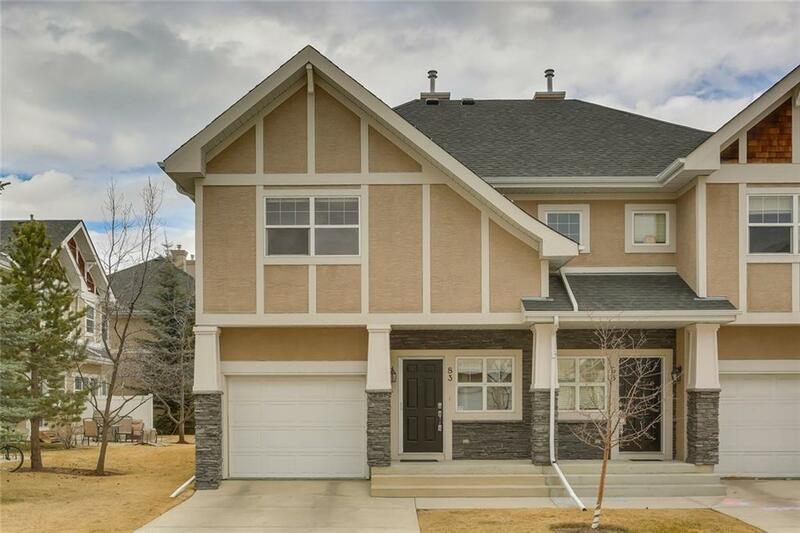 Description: The home at 83 Wentworth Cm Sw Calgary, Alberta T3H 5V3 with the MLS® Number C4225656 is currently listed at $399,900.